Located in the center of the Crystal Coast barrier island coastline, Pine Knoll Shores Realty is an enticing option for buyers and sellers whose real estate goals are centered on the sea. With a small but dedicated team of real estate brokers who know the Carteret County region inside and out, clients will be privy to a wealth of information on the real estate market, regardless of whether they want to sell a home or property, or finally buy their dream residence along the beach. 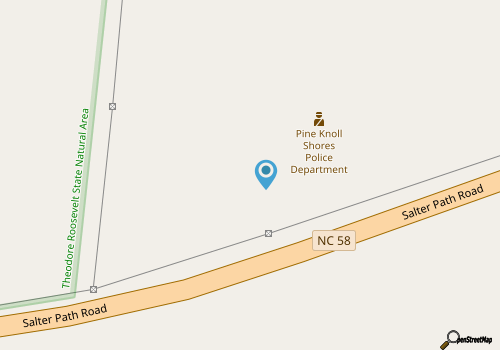 Pine Knoll Shores Realty is based in the central coastal community of Pine Knoll Shores, but the sales team can assist with all varieties of real estate transactions throughout the Crystal Coast. From the inland communities of Beaufort or Morehead City to the bustling coastal towns of Emerald Isle and Atlantic Beach, the experts at Pine Knoll Shores Realty know the market well, and can use this knowledge to their clients’ benefit. In addition, the sales team at Pine Knoll Shores Realty have a nice array of resources to help clients with every step of a real estate transaction, from identifying a suitable asking price to estimating mortgage payments. As a result, clients will be well represented when they work alongside Pine Knoll Shores Realty.